The 2008 Ryder Cup started today. For those of you who wish to have a closer look at the eighteen holes here are a couple of Google Maps mash-ups of Valhalla. This mash-up uses the Google Earth browser plug-in to provide a fly-through of the front nine holes of Valhalla (the closing nine will be added tomorrow). Each hole comes with two links, 'the tee' and 'the hole'. If you click on 'the tee' link the map flies to the tee. 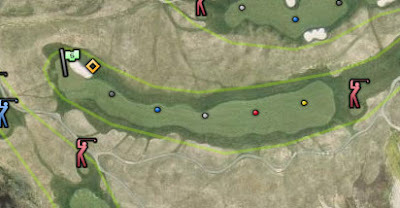 Clicking on 'the hole' link and the map flies over the hole to the green. The terrain layer in the Google Earth plug-in means that this mash-up gives the user a very good idea of the challenges of Valhalla. Straka.com have produced this Google Map of Valhalla. The map shows the location of each of the tees and holes on the course as well as the yardage for each hole. 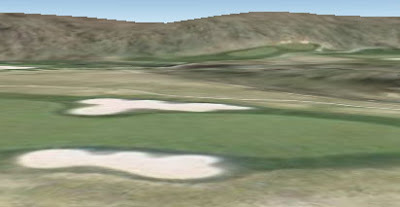 Straka.com also provide a kml link so it is possible to view the course in Google Earth.